The American tourism industry is once again on the rise, and opportunities are growing within both new and established hotel chains. Even as alternatives to traditional lodging present themselves, the many customs and government regulations with which a provider of hospitality services must comply are resulting in new opportunities for a certified hospitality educator. Someone will always be needed to instruct aspiring service providers in that critical information which will mean the difference between success and failure in their companies. Here are five jobs calling for certified hospitality education professionals, which can help you to establish yourself within the industry while developing your reputation as a consummate hospitality expert. Someone who knows the ins and outs of the hospitality industry well enough to instruct others in its nuances is ideally suited for the role of a services coordinator. Prestigious hotels, resorts, and other hospitality organizations often provide a variety of activities, sightseeing opportunities, and other forms of recreation for those who are paying to stay with them. This job calls for creativity, the ability to connect with one’s client base, and the ability to network between companies which provide a wide range of recreational services. As a certified hospitality instructor, or CHI, you will be responsible for providing instruction to aspiring management personnel within the restaurant and hospitality industries. You may also find yourself in a position to host seminars and retreats, as well as other events which serve to help established professionals to maintain their ongoing educational requirements. This is a well-paying position, which can help to set the stage for a relatively quick transition to an independent consulting business. A certificate in instruction is an added bonus when it comes to a candidate for an administrative position. 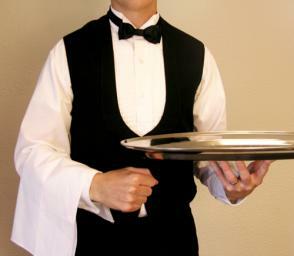 A hotel manager needs to be able to participate in the training of staff, including other managers, beneath their position. They can also benefit from the existence of a professional network, providing them with the latest cutting-edge ideas in hospitality management practices. Being a certified hospitality educator will help make your application for this six-digit salaried position stand out from the rest. As a certified hospitality supervisor, or CHS, you will be a part of the most highly accredited echelon within the hospitality or service industries. This certification makes an individual eligible for management positions within some of the most prestigious hospitality providers in the country, and may lead to executive opportunities down the road. It combines on-site administrative skills, vital in most any industry, with the expertise needed to provide instruction to staff and low-level management. In today’s business world, individual corporations frequently cross national boundaries, and people from different cultures are expected to work together for the good of the company. International hospitality consultants work independently, or as part of a major hospitality firm, advising providers of hospitality services on how to accommodate individuals from a diverse range of religious, ethnic, and cultural backgrounds. They employ strong analytical skills to accommodate a wide range of expectations, functioning as part manager and part ambassador. As the role of the hospitality industry in our society widens, additional opportunities will become available for individuals with widely recognizable professional certifications. Find out more about the extraordinarily rapid growth rate of the hospitality industry, and how it translates into rapid career development for a certified hospitality educator.